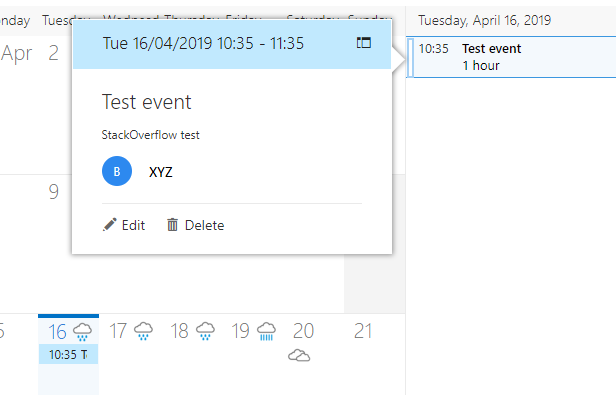 I'm trying to design a Microsoft Flow, which will create a outlook calendar event entry based on information in a SharePoint-online list. The list will contain a value for a DueDate its a column of type Date, not including time. I want to be able to create a outlook calendar entry on the date based off the duedate column. 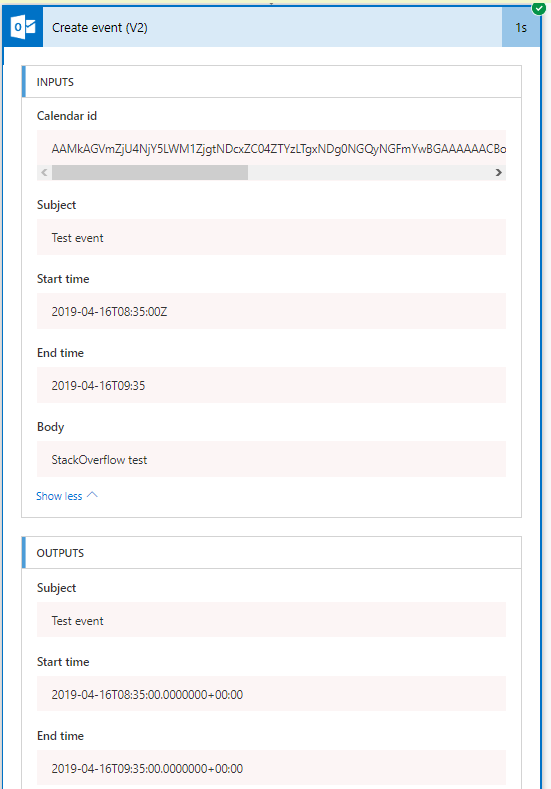 The calendar entry form in flow allows via dynamic content to add dates that also include time, however date columns not containing time cannot be added that way. I have tried converting the column in sharepoint to a Date with Time column and that workaround worked, however its not what I'm looking for. Id like to know how to be able to work around this because I don't necessarily want my column as a date-time column which can cause problems later on. But I know this is wrong and it doesn't work. I'm simply not sure how to do it. I want the flow to add a calendar entry based off the due date column which i can append my own time to like the start of the day and last til the afternoon. Actual results are I don't seem to be able to use a date column, just a date-time column for start and end times of the event, date column without time doesnt appear in the dynamic content list. If there is some way to manually fetch values instead of using the dynamic content that is very powerful and can then possibly be converted to the right format using additional code. How to filter Sharepoint list in Flow by current date plus days?